When it comes to replacing a missing tooth or multiple teeth, there is no doubt that dental implants are the best restorative dentistry treatment. Fortunately, for patients living in the Lagrangeville and the surrounding areas, you’ve got a dental implant specialist waiting to serve you. 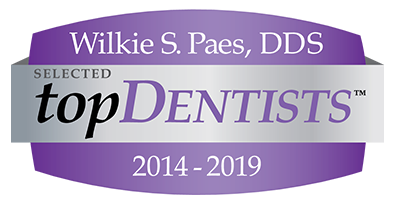 Dr. Paes carries unrivaled training and skill in placing dental implants. Our office offers complete implant dentistry, which means we can surgically place your dental implants as well as restore them at their final stages. With our cutting-edge treatment planning, technology and our ability to perform bone grafting, you won’t have to go anywhere else for your dental implants process. Whether you need a single dental implant or multiple implants, we are qualified to meet your smile restoration needs at Town Center Dental of LaGrange. Dental implants provide remarkable benefits for those that need tooth replacement. They involve a small titanium post that is surgically inserted into the jawbone. The implant fuses to the bone as it heals over time and becomes a strong foundation for your dental implant restoration that is placed on top. Since dental implants are the only treatment that provide an artificial tooth root, they are the only solution that can help you avoid bone loss from missing teeth. This helps you retain your youthful facial structure and prevent further tooth loss. At Town Center Dental of LaGrange, we stop at nothing less than excellence when it comes to implant dentistry. Our office uses revolutionary CBCT scans to ensure your implants are placed with the highest precision and care. Dr. Paes is also able to offer bone grafting and sinus lifts for patients who need help qualifying for dental implants. For your added convenience, we can even offer your new smile in as little as one day using our Teeth in a Day technology. Are you a candidate for dental implants? Contact Town Center Dental of LaGrange today. Dental implants can mimic your natural teeth better than any other option available in modern dentistry. Regardless of your budget, your schedule or your stage of life, we can help you take advantage of dental implants.